Kansas forward Dedric Lawson (1) pulls up for a three over Washburn guard Emeka Ogbonna (32) during the second half of an exhibition, Thursday, Nov. 1, 2018 at Allen Fieldhouse. He knows shortcuts most do not learn until they seek means of compensating for barking knees. He’s never in a hurry, yet always on time. He’s not necessarily as fast getting up and down the court, or as quick sliding his feet defensively or as explosive at the rim as some of the aerodynamic teammates he makes better with his sophisticated basketball brain. Yet, he’s a far better basketball player than any one of them. 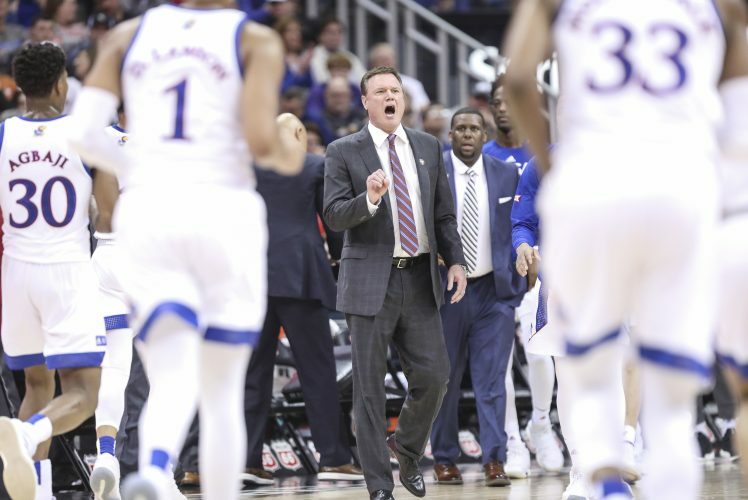 A long-armed, 6-foot-9, 235-pound power forward/point forward, Lawson totaled 18 points and six rebounds, and repeatedly set up Udoka Azubuike for plays that ended with Udoka heading to the free-throw line. Kansas defeated Washburn, 79-52, because when the Ichabods drew close, Lawson stiff-armed them to a safe distance by getting hot from the outside. A former walk-on and assistant coach at Kansas, Washburn coach Brett Ballard knows what a Big 12 standout looks like. The (tied with brother K.J. 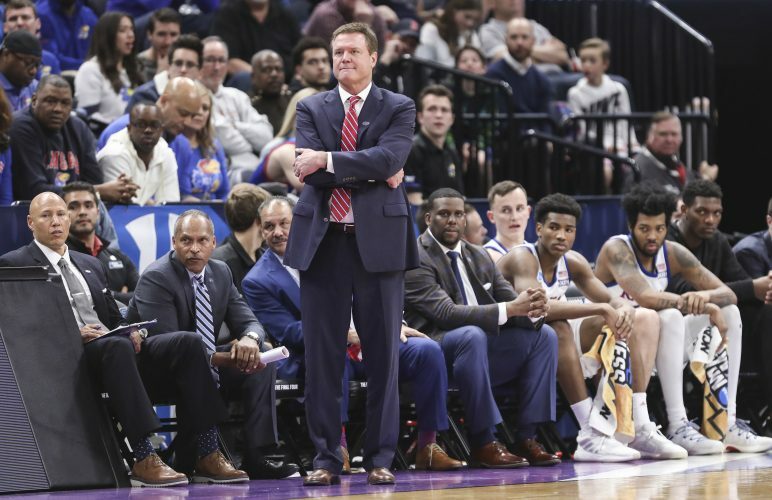 for) latest and definitely the greatest gift of the relatively recent Memphis pipeline of players that started with graduate transfer Tarik Black and continued with high school recruit Lagerald Vick, a senior, Dedric is a rarity in that he’s this advanced and still playing college basketball. He played in the same McDonald’s All-American game as Jaylen Brown and Ben Simmons, Brandon Ingram and Caleb Swanigan. 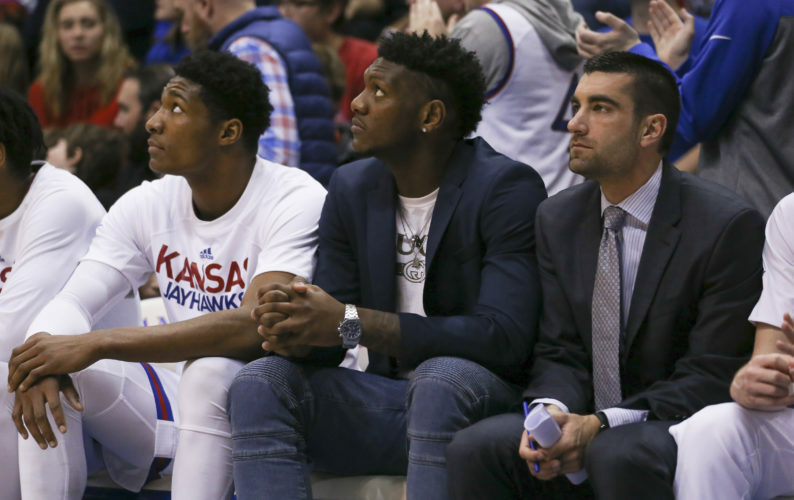 Former Jayhawks Cheick Diallo and Carlton Bragg also participated in that individual showcase, not the sort of environment that would bring out Dedric’s value. He scored two points and Diallo was MVP, but this burger All-Star won’t in any way resemble Diallo or Bragg in a Kansas uniform. K.J., who might have trouble cracking the rotation, is a year older. Dedric graduated high school a year early to start on his path toward a lucrative NBA career. 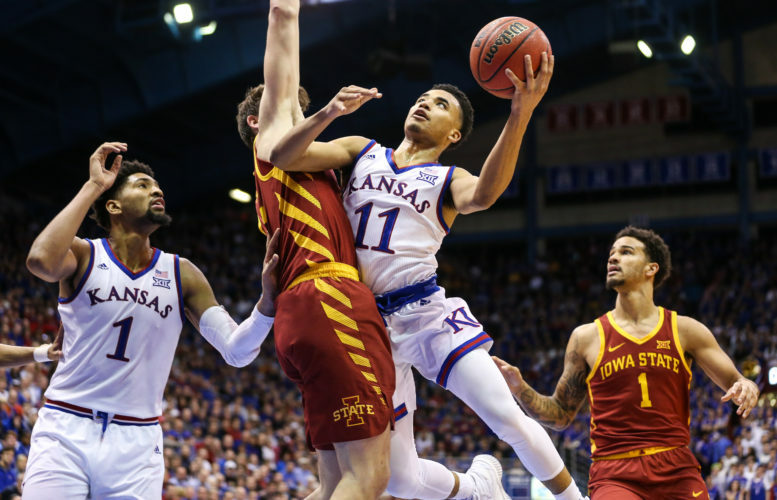 Dedric spent much of Thursday night on the perimeter, but that was by design of the four-out, one-in offense, not because he shies from the paint. His ability to feed the post, drive and nail the 3-pointer blend to make him a triple-threat from the perimeter. “Dedric’s just a tough cover because you have to pick your poison with him,” Ballard said. Helping off of him or giving him breathing room to protect against him driving leaves him open to drill 3-pointers. He shot 4 of 4 from long distance Thursday. “He can make plays and he can spread you,” Ballard said. Freshman Ochai Agbaji, hoping to play instead of redshirt but on board for whatever is decided, contributed six points in 11 minutes and then gave his impressions of his most valuable teammate. So is his IQ, basketball and otherwise, and as Ballard said, he’s athletic enough. 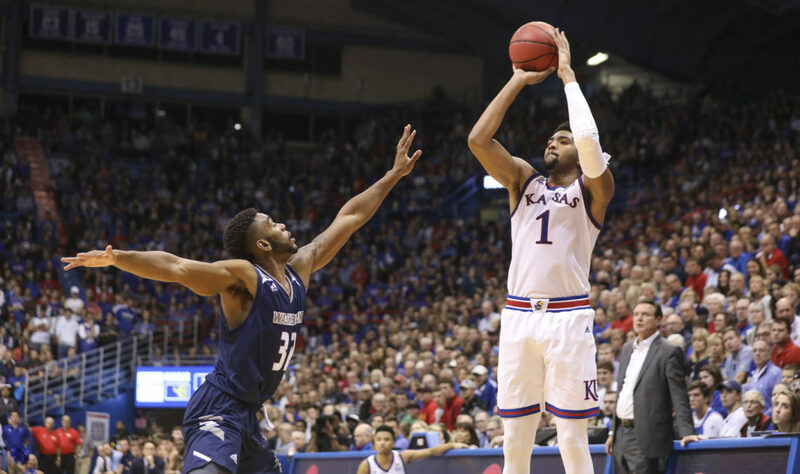 The lucky 16,300 ticket holders each night in Allen Fieldhouse will savor every minute of watching Dedric Lawson, before he moves onto a profession for which he is ideally suited.